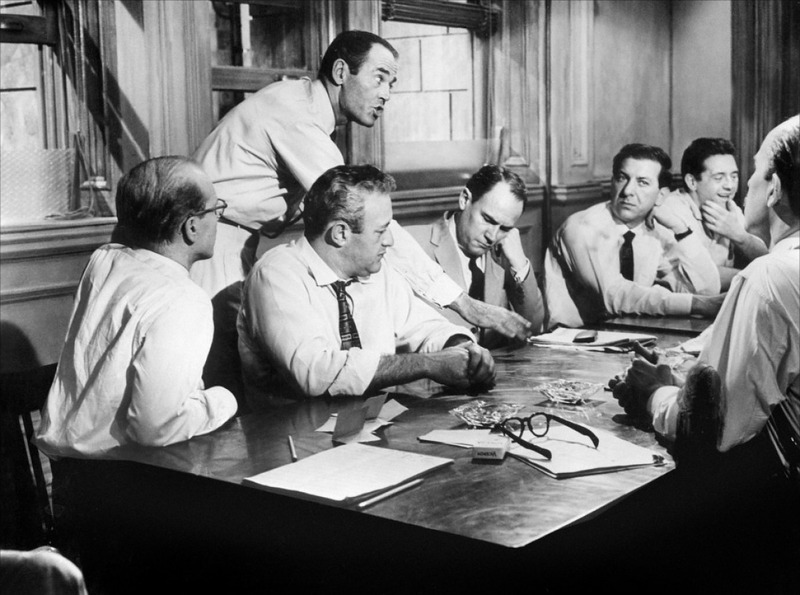 12 Angry Men was the first film directed by Sidney Lumet, whose courtroom drama "The Verdict" has already been honored on this list. Uploaded by prodeoetpatria.wordpress.com. It’s not a good thing to feel claustrophobic during a movie. And except for a couple of brief scenes at beginning and end, the “action” in 12 Angry Men (1957) takes place in a closed jury room. As they say, in the hands of a lesser director this would have been a problem. But the great Sidney Lumet (Network, The Verdict, et. al.) took this on as his very first production, and showed why he would be a directorial force for decades to come. If you haven’t seen 12 Angry Men, I don’t want to spoil the plot. Suffice it to say that a jury of all men debate the fate of a defendant who’s one of “those people,” and most initially consider him guilty. Henry Fonda is the lone dissenter, and he uses his powers of logic and persuasion to try to convince the others that they may be convicting an innocent man. The film wouldn’t have worked without a terrific cast, and it had one. Among the jurors were E.G. Marshall, Martin Balsam, Jack Warden, and Jack Klugman – a who’s who of great 1950s era character actors. Most forceful of all was Lee J. Cobb, leading those who believed in the defendant’s guilt. 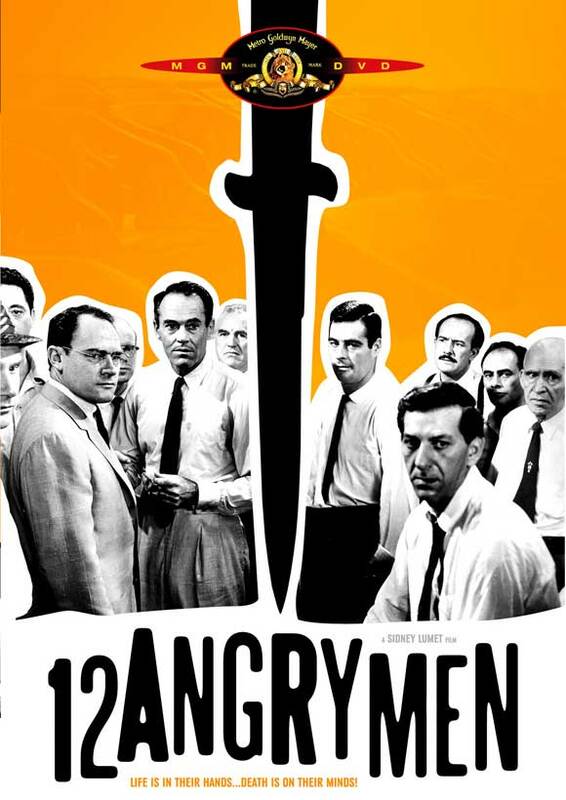 12 Angry Men is considered one of the top courtroom dramas of all time (AFI considered it number two), and was nominated for Best Picture, Best Director, and Best Adapted Screenplay Oscars. And if it hadn’t come out in the same year as Bridge on the River Kwai, it might have won them.